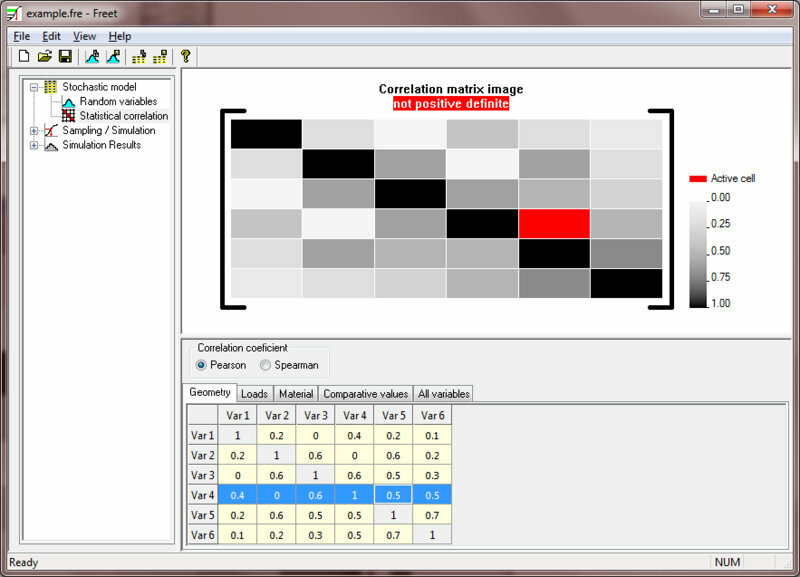 FReET(Feasible Reliability Engineering Tool) is a multipurpose probabilistic software for statistical, sensitivity and reliability analysis of engineering problems. 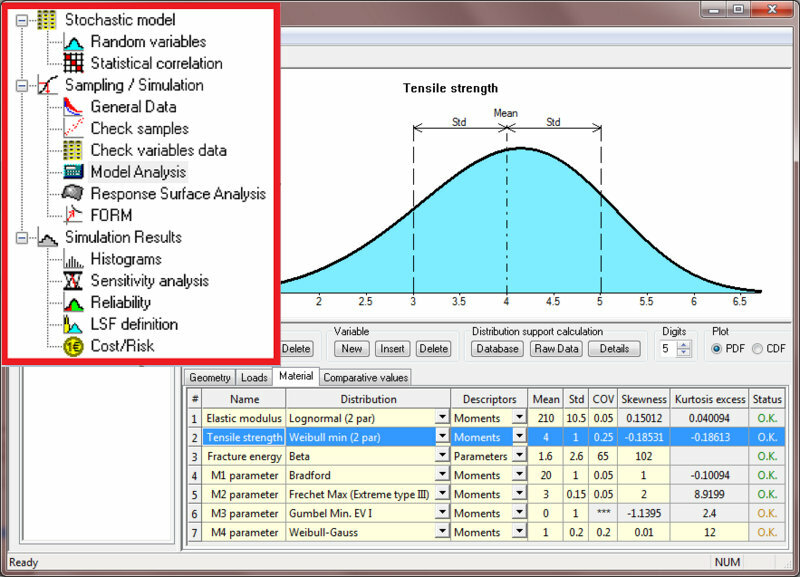 It allows to simulate uncertainties of the problem at random variables level (typically in civil/mechanical engineering – material properties and loading, geometrical imperfections). 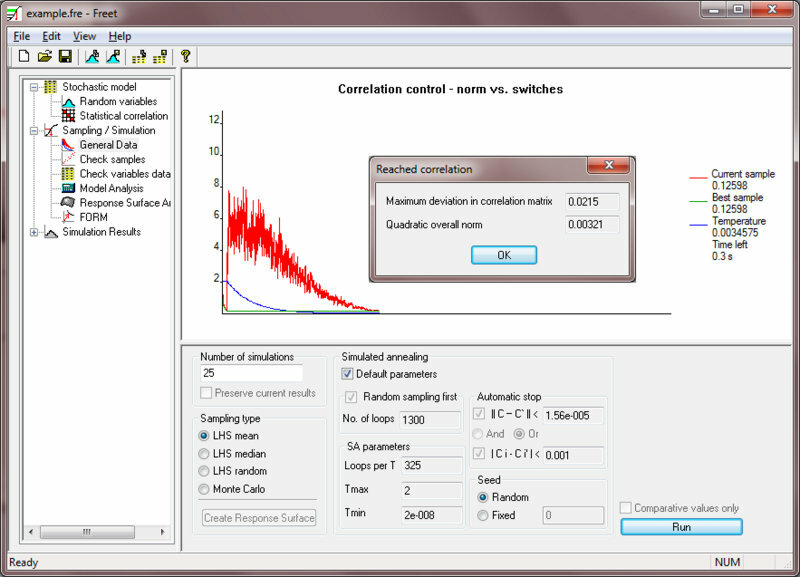 FReET includes state-of-the-art probabilistic simulation algorithms to compute the probabilistic response and reliability. It is developed in C++ and optimized for speed. FReET is a modular computer system for performing probabilistic analysis of engineering problems developed mainly for computationally intensive deterministic modeling such as FEM packages, and any user-defined subroutines. Therefore small-sample simulation techniques are preferred. The most successful FEM integration represents the combination with nonlinear fracture mechanics software for analysis of concrete structures ATENA, Červenka Consulting. FReET-D (the acronym for Feasible Reliability Engineering Tool for Degradation effects assessment) is an optional modul for modeling of degradation phenomena in concrete structures due to environmental actions, for probabilistic assessment of service life. 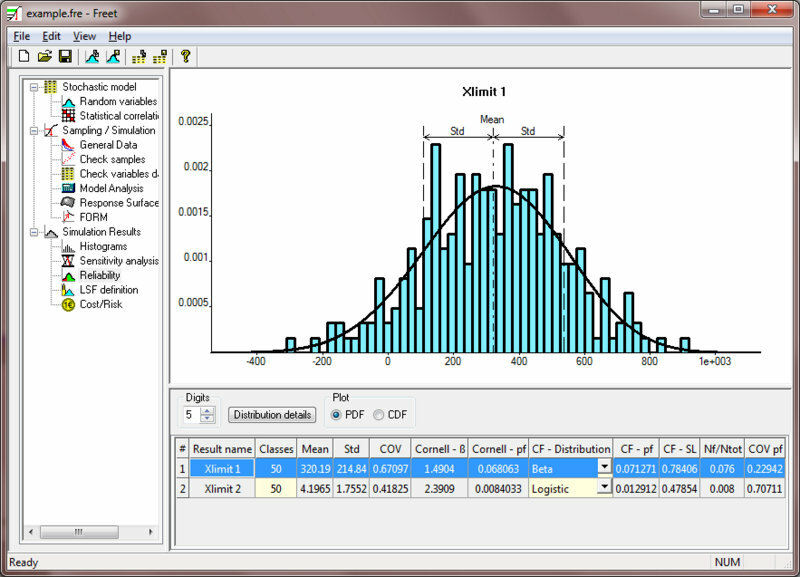 “Reliability” window with empirical histogram, Curve fitting, Cornell safety index and Monte Carlo sampling estimates. 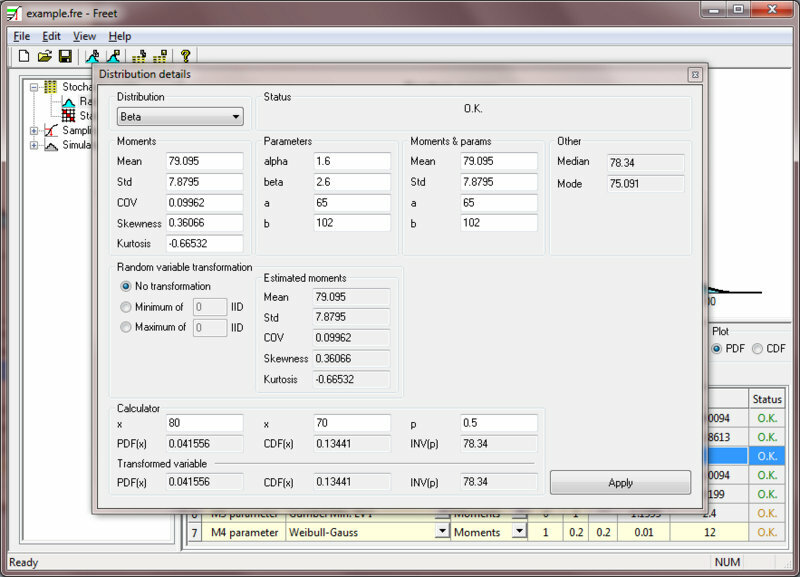 Visualization of statistical correlation structure in parallel coordinates (correlation coefficient -0.98). 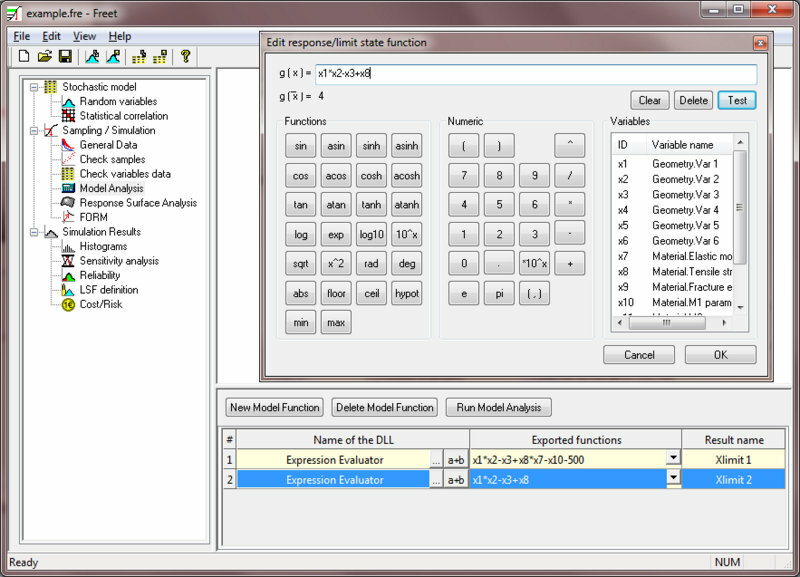 Equation editor (parser) window for the definition of simple limit state/response functions. 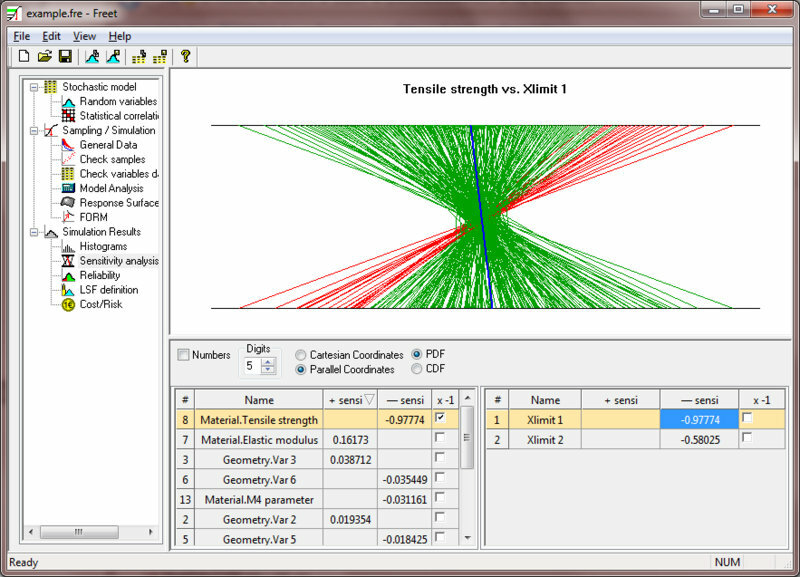 Window showing progress during the imposition of statistical correlation by via the Simulated Annealing algorithm. Probability distribution function calculator (Distribution details).